Families and individuals of all ages will fall in love with the Woodforest lifestyle—there’s something for everyone! Frequent social events and easy access to all the community amenities are just a golf cart ride away, ensuring there’s always something to do. 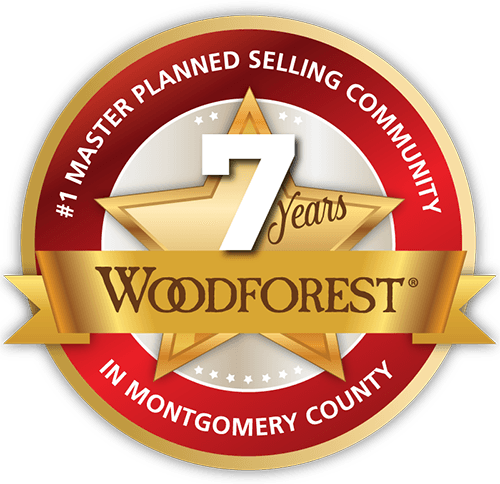 Best of all, whether you’re buying your first house, upgrading, or downsizing, you’ll find a home in Woodforest that fits your needs. There are lots of exciting places in Woodforest where kids of all ages can run, climb, and play. They’ll love zooming down the water slides at Forest Island or racing their friends around the 6-foot-wide track encircling Forest Heights Scooter Park. Parents can rest easy knowing their children are getting a high-quality education at Jean E. Stewart Elementary School, our state-of-the-art, on-site facility serving students in kindergarten through sixth grade. Adults can hone their game on the green of the Woodforest Golf Club or unwind during happy hour in the course’s 10,000-square-foot clubhouse. For members of our community for homeowners ages 55 and above, Bonterra, it's easy to maintain an active social life as members of our community for homeowners ages 55 and above, Bonterra. 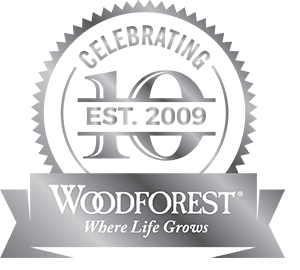 Woodforest is a place full of incredible opportunities, where residents can grow up or grow old, surrounded by a close network of neighbors, friends, and loved ones. Find your perfect home with over 15 builders and over 200 floor plans to choose from! 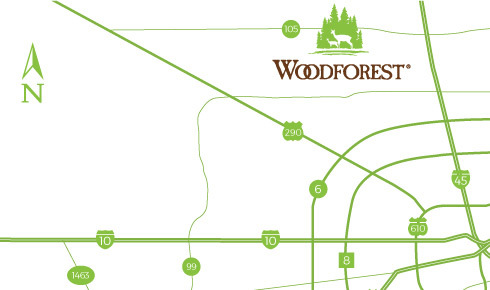 A prime location in south Montgomery County, just seven miles west of Interstate 45, means Woodforest offers the best of all worlds.